Space: Vast, Complex and Invisible. For hundreds of years we humans have been staring off into the vastness of space for varying reasons. Initially man looked at the stars for mythical and spiritual purposes, hoping to derive meaning from what they saw up in the sky that they could then apply to their lives. As time went on we began to discover that the sky could be used as an extraordinarily accurate navigation tool that was used for hundreds of years. Even today celestial navigation is still used by modern technology to guide craft that venture beyond Earth’s atmosphere, a tribute to how useful gazing towards the heavens is. 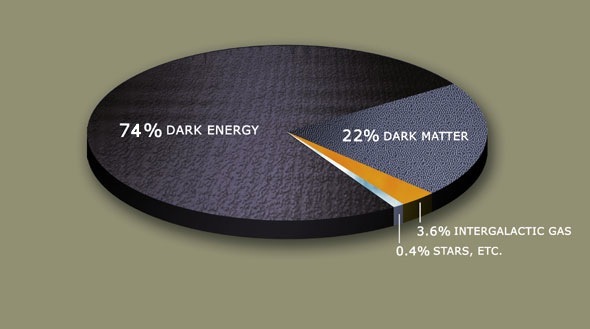 In essence the visible universe accounts for a mere 4% of what exists with the remaining 96% being made up primarily of dark matter and dark energy. This idea that the visible universe is so small, even when you consider something like VY Canis Majoris, is something that still amazes me even today. Consider dark matter, something that we’ve never directly observed. If you take a look around the universe you would begin to notice some strange behaviour that you couldn’t explain if the universe was exactly as we see it. Some of the best examples are effects like gravitational lensing where light coming to us appears to be bent around another object. In the case of a dark matter object we can’t actually see the object doing the bending. Whilst this would traditionally lead to a review of classical physics models (and indeed it has) observational evidence like the bullet cluster are giving strength to the dark matter model of the universe. 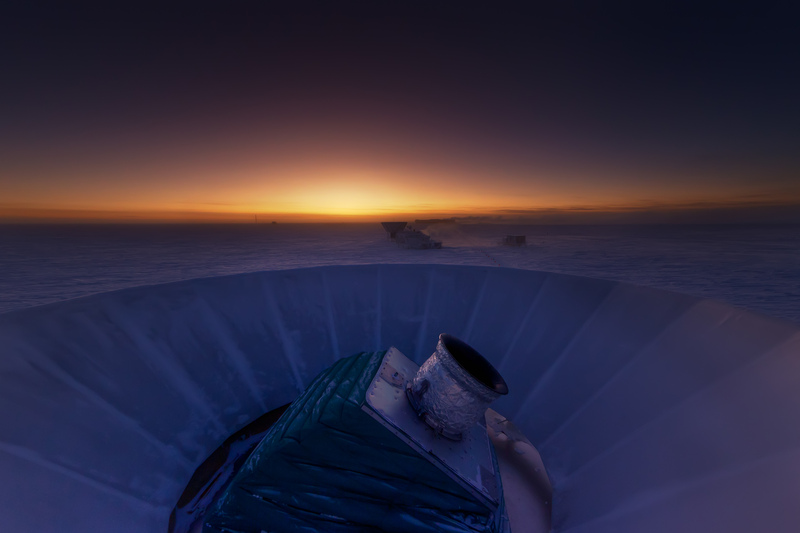 Even more curious is the concept of dark energy. As far as we can tell the universe is expanding at an accelerating rate. For this to occur there has to be some form of energy fueling the process and so far it is best explained using dark energy. By its definition dark energy exerts an outward pressure on the universe which is arguably weak, but it is constant throughout the universe. Current models show that previously gravity was overcoming the outward pressure that dark energy was applying to the universe. However as the force that gravity can exert does not increase as the volume of space increases eventually the force of dark energy took over, and caused the acceleration of expansion. So after millena of gazing up at the stars the biggest mystery about them turns out to be something that we can’t see. Isn’t that just so awesome? It’s like the universe watching us and waiting until we think we have everything figured out and then throwing us a giant curveball. I think what puts most people off astronomy is the idea that you have to get up at 1am and drive out to remote locations to get a good view of the stars. Whilst that’s true if you want the best view it doesn’t mean you can’t do some pretty good observing from the comfort of your backyard. In fact there are some great things to see and you don’t even need a telescope, although I’d reccomend picking up a pair of binoculars if you’d like to get a better look at some things. So, what are some interesting sights to see? Personally I’d reccomend starting off with the Moon, since it’s big, bright and with a pair of binoculars you can seem some incredible detail. The other favourites are Mars, Jupiter and Venus, since they’re all fairly bright and can be seen with the naked eye. One of my all time favourites will be the International Space Station, which you can plot sighting times using NASA’s Skywatch program. Just select your city and it will give you times that you can view the station. If you’re hungry for more, the best website I’ve found for sightings of many different astronomical objects is Heaven’s Above. They’ve even got a great guide for deciphering all the terms that use so even if you’ve never done this kind of thing before, you’ll be able to find what you want in the sky. I spent a weekend down at the coast when the moon was full just a couple weeks ago. I got some fantastic pictures whilst I was lazing on the beach long into the night. I’ll be sure to share them all with you here.